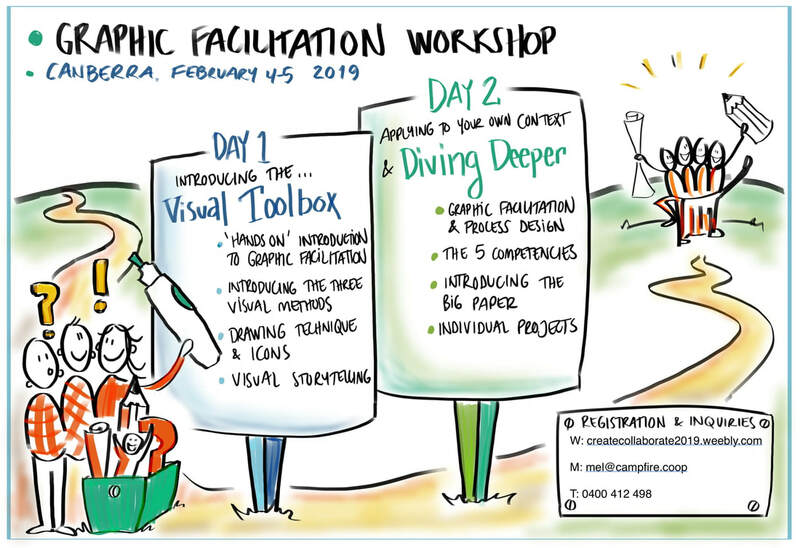 ​Join us for a creative exploration into graphic facilitation, hosted by Anne Madsen from Denmark. Anne has been working as a visual practitioner / graphic facilitator for more than 10 years in many contexts, particularly education. She is highly skilled and a gifted teacher. Take back new skills, understanding and confidence to your community, team, work place or business, and transform the way you work. We look forward to you joining us for a fun and productive two days! ​If fees are a barrier to you attending, please get in touch for a conversation. Scholarships are available. ​The fees cover lunch and snacks during the training days, and all resources and materials. ​This is the first time Groundwork training will be offered in Canberra. We are fortunate to have one of the Groundwork co-founders, James Ede, here to host this training, along with experienced Australian practitioners and locals committed to collaboration that matters. Find out more about the framework and training here, and take a look at the Groundwork website for more. ​The fees cover lunch and snacks during the training days, all resources and materials and a digital PDF of the Groundwork practice guide. ​A printed and bound copy can be ordered when registering for an extra fee. ​We reserve the right to cancel either training due to unforeseen circumstances. In this case, 100% of your fees will be returned. You are welcome to find someone to take your place at the training, at no additional cost.